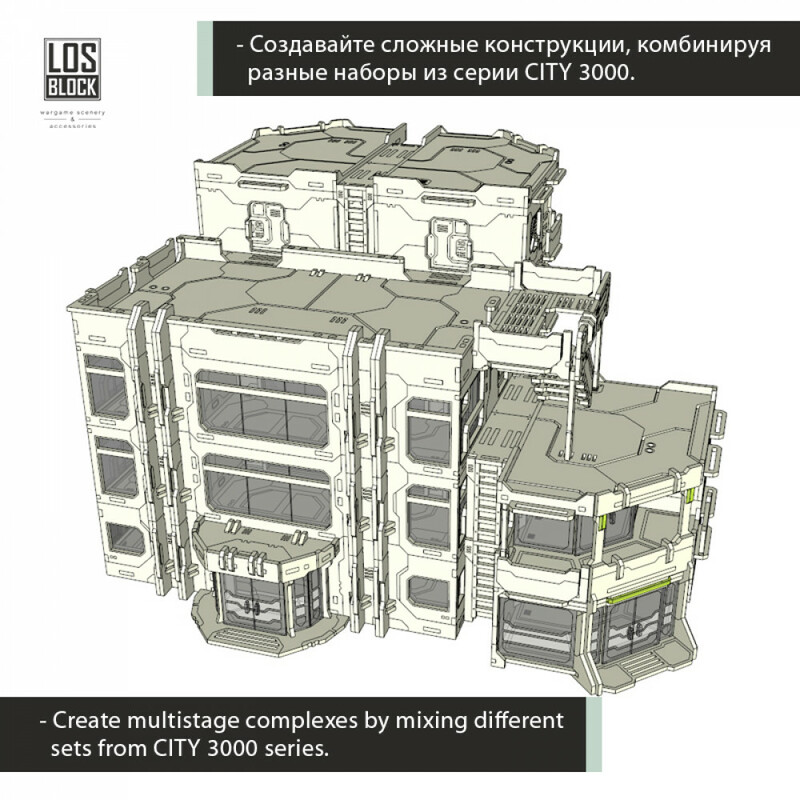 Office is a modular building from CITY 3000 series. 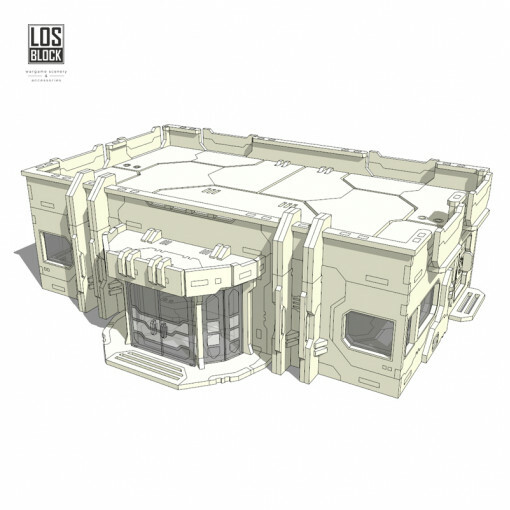 Perfect for any game table. Designed for Infinity The Game but can be used in other sci-fi wargames. Detailed interior. Tree rooms separated by transparent openable doors. 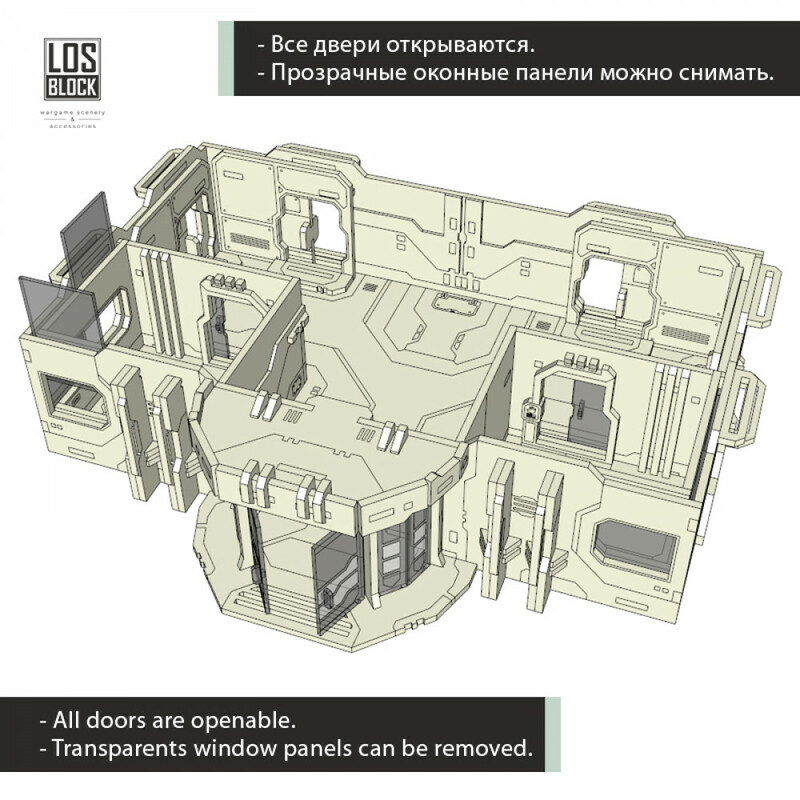 Transparent window panels can be removed and changed on broken. Every door can be opened by sliding aside. 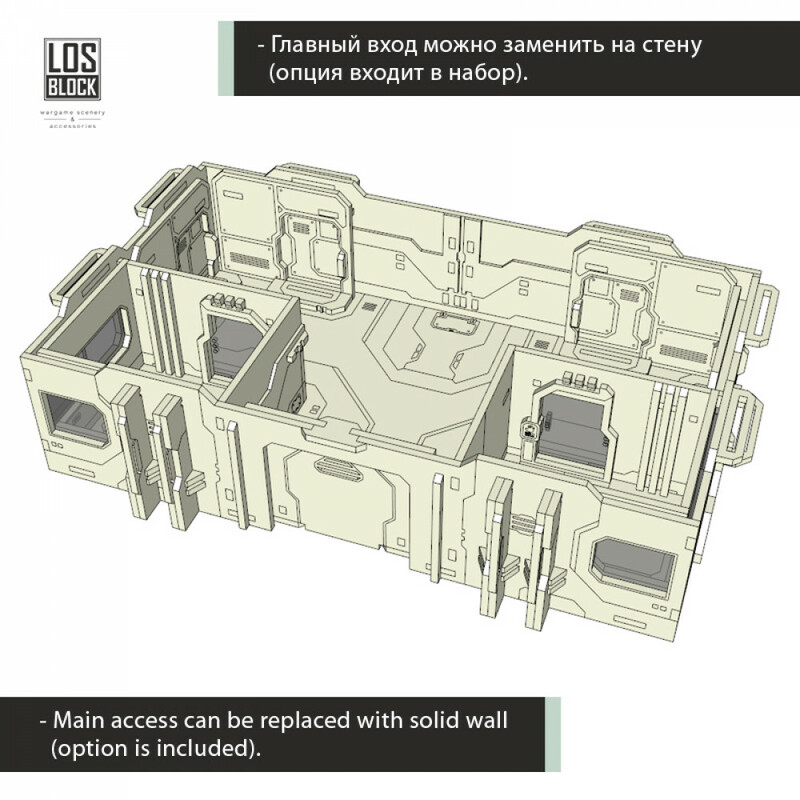 Main access can be changed on solid wall. 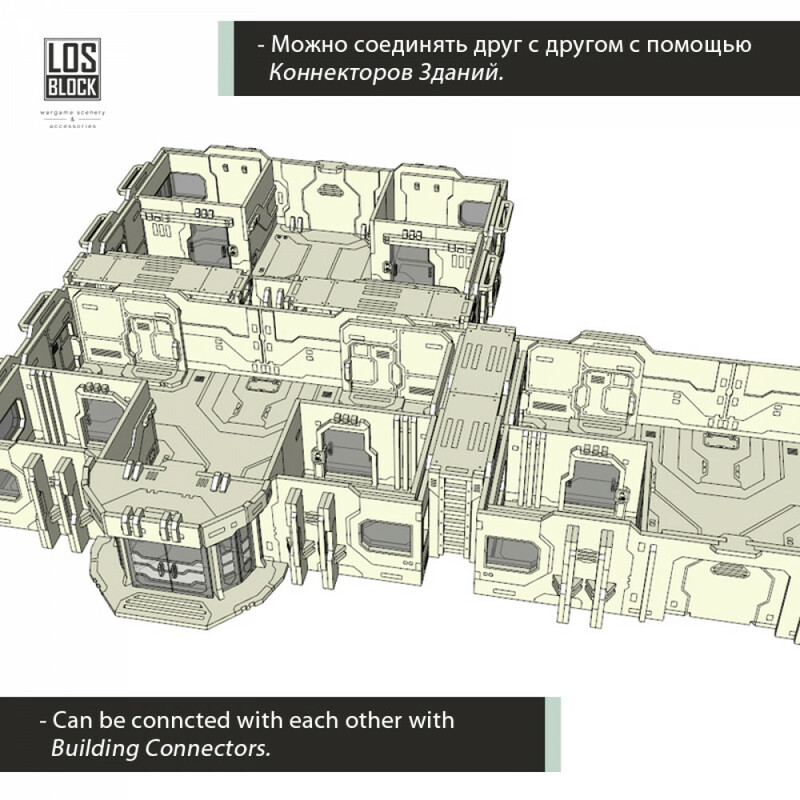 You can add unlimited additional floors layout A and layout B.